Conacul Mantescu is the symbol of my happiest childhood moments. I spent little time here as a visiting grandchild over the years, but that time took me out of the everyday picture of grey blocks of flats and showed me the image of Eternity. Back then I must have had an epiphany here as even if I went away I feel I never left this house, such a peaceful place locked away from the eyes of the modern world and set in breathtaking landscape, brimming with ancient history. This is a heritage house that belonged to my ancestors. It remains a living proof of their lives, of how they moulded their precious land, turning it noble with their work. The result is lasting through simplicity and the beauty of the details. The pain staking effort to restore this century old building is meant to become a link between my ancestors and my descendents - speaking for itself about the family and the land's history. The house construction was started back in approximately 1914 and finalised in 1916 by my maternal great grandfather Ion Manta. As per my family's recollection, he was a crafted carpenter in the area, who built a home from scratch for his family. He then answered the call of his country in the 1st World War and became the family's hero, as well as his country's. His name is recorded on the wall of the Marasesti War Heroes' Mausoleum. What greater tribute for this man, who had to leave his newly built home and his children, turning into the guardian angel of his family and country! This country, that he defended and fought for, was then to return to its former borders, also thanks to his noble contribution. Likewise, this is an effort to honour him and his family's memory. Conacul Mantescu ('Mantescu Manor House' - as the locals know it) has otherwise an even more fascinating story, as it also functioned as a primary school house through the humbling initiative of my late grandfather, Gheorghe Mantescu, who was the village teacher. He volunteered to extend his house, to put it to a good use for the village community by educating its children in his own home. What a grand gesture! 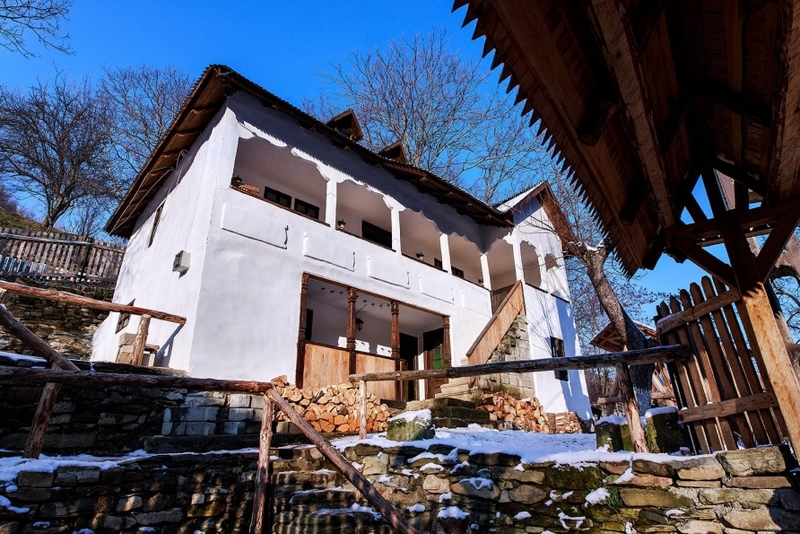 Lastly, for the adult me, Conacul Mantescu is a fine example of rare living rural heritage that does me proud, hoping to inspire other people passionate to save rural architecture to go on a similar journey. One that is tough but wonderfully satisfying, the gesture of saving Beautiful Romania, my birth country as I remember it. We have the right and the moral obligation to honour and recover our ancestors' legacy before it's too late. This journey helped me remember who I am, regain my inner peace, my childhood memories, my ancestry and my essence. Being able to retreat here and share my joy with others is a really unique emotion! I reunite with my spiritual self, with my family tree, with the village life of days long gone and with the Divinity!